Roll all 3 cubes to conjure fantastic fairy tales. A non-competitive game for 1 or more players. You can add these cubes as an extension to the award winning Rory's Story Cubes games. 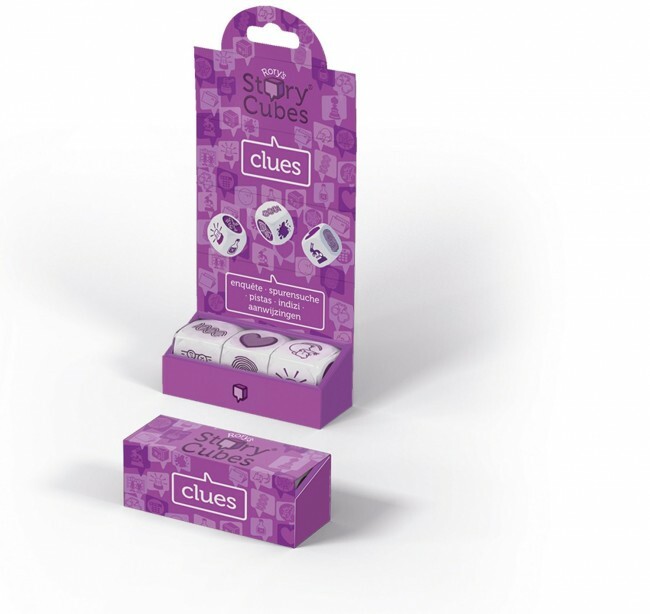 Simply mix up these three dice with other Rory's Story Cubes to conjure up fantastic fairytales. The three cube MIX sets are a perfect pocket money buy. They are also highly collectable. You only have to swap a few images to completely change the theme of a story. It's like adding a strong spice to a meal!